Special event on the night of the 2017 Grammys! Louie is up for the award for best Remixer for his production work on one of the House Music anthems of 2017 – Loleatta Holloway / Can’t Let You Go. This will be THE ESSENTIAL, GO-TO PARTY in NYC for everyone in the industry and beyond who loves music and nightlife. What can we say about LOUIE VEGA….. Grammy Winner, Career Spanning over 35 years and having played the world over more time and to more people than we could ever count….. LOUIE VEGA is a LIVING LEGEND and TRUE to this thing here we call HOUSE and the growth of the music over all! A godfather of global dance music, Louie Vega has painted an award-winning career from a palette mixed with everything from salsa and afro-beat, to jazz, hip-hop and soul. What distinguishes the Grammy winner and 4-time nominee as one of the best living house music deejays is his ability to evolve alongside the times, distill the current musical landscape through his unique taste and put his own timeless spin on it. “Little” Louie Vega, as he is sometimes affectionately known, was born in the Bronx into a musically gifted family (his father, a jazz saxophonist, and his uncle, Salsa King Héctor Lavoe). The “Little” moniker is ironic, given the fact that by the 80s he was deejaying at clubs he wasn’t even old enough to attend, holding residencies at Studio 54, Devil’s Nest, Hearthrob, Roseland, and the Palladium. Soon Vega was producing his own remixes, which included Information Society’s “Running”, Noel’s “Silent Morning” and Debbie Gibson’s “Only in my Dreams”. Then in 1991 he joined Atlantic Records—and hit the mainstream. Teaming with an-up-and-coming Marc Anthony, he helped to produce “Ride on the Rhythm”. An immediate hit, the single put Vega and Anthony on the map. The duo would rock the club circuit, with their success culminating when they opened for Tito Puente at his 100 Album concert at Madison Square Garden. One of the keys to Vega’s success is his knack for refusing to being boxed into any one category, not only reflected in the various music styles his songs play with, but by his fruitful collaborations with other artists. And so more success came in 1991 from the production team he created with Brooklyn-based deejay Kenny “Dope” Gonzalez. Masters at Work, as they were called, were responsible for the critically acclaimed albums “Nuyorican Soul” and “Masters At Work – Our Time is Coming”. Not to mention the duo found the time to remix and or produce for Michael Jackson, Luther Vandross, Madonna, Jamiroquai, Tito Puente, India, Janet Jackson, Tania Maria, George Benson, Black Eyed Peas, Jocelyn Brown, Los Amigos Invisibles, Bebe Winans, and Earth Wind & Fire. In his other venture he joined with world-renowned NYC-based jewelry designer Kenny Hwang to create a signature line of hats, jewelry, t-shirts, and additional memorabilia. As these businesses flourished, so did Vega’s music, and in 2006 he received a Grammy Award for his remix of Curtis Mayfield’s “Superfly” on Rhino Records. Then, not more than a year later, Cirque Du Soleil approached him and the house-music group Blaze to compose and produce a song for a once in a lifetime event. And so Anané Vega and Elements Of life performed the song “One Dream” to the acrobatics of Cirque Du Soleil during the 2007 Super Bowl Pre-Game Show to over 70,000 people at Dolphin Stadium in Florida and were seen by 145 million television viewers. With all the good fortune he’s received, Vega finds it crucial to give back. During most of his free time he donates Vega Memorabilia to auctions, deejays at fundraisers and serves as a good will ambassador for the Christian Rivera Foundation. 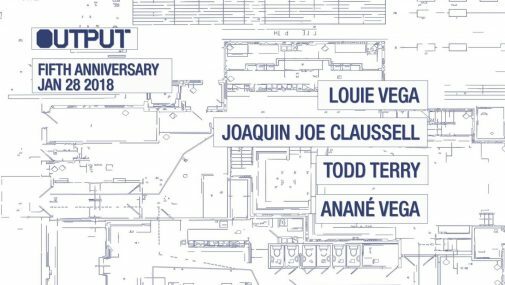 Currently, Vega and Anané are headlining their Sunset Ritual brand, an outdoor party held at prestigious beach clubs around the world and drenched in the sounds of House, Global Disco, Afro tech and Old School. Sunset Ritual has toured the Mediterranean every summer since 2010, including a two-year residency at the Blue Marlin beach club in Ibiza. Just this past year, from the 21st of June until the 20th of September 2013, the Sunset Ritual’s good vibes were back in Ibiza, this time at the famed Ushuaïa Hotel. This May 2014, Anané and Louie will release the first Sunset Ritual cd/dvd. Then in the summer Sunset Ritual will resume across beaches of Ibiza, Formentera, Italy, and Greece. In 2014, Masters At Work will reunite with a full blown project and Anthology on the House Masters Defected Release #21. 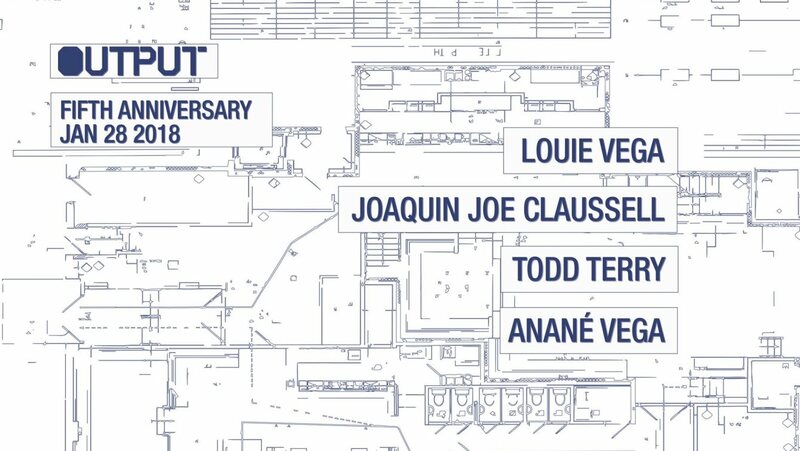 Louie Vega & Kenny Dope will once again come together to create music and do what they do best, produce and make you dance!Breaking down musical barriers and bringing people together through a love of music has always been Vega’s aim; after more than 20 years in the game his contributions continue to positively influence the global house and world music.